Argentina international Sergio Aguero has stressed that he is content to remain at Manchester City for the remainder of his contract. The 29-year-old has been with the Citizens since the summer of 2011, and he broke the club's all-time scoring record earlier this campaign after he surpassed Eric Brook's goal tally. 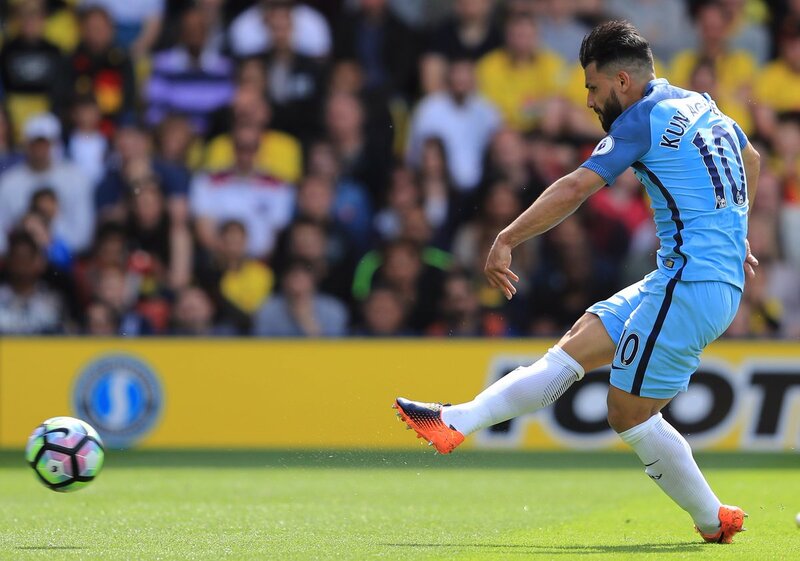 Aguero netted the third goal during the Citizens' 3-1 win over Watford in midweek, and shortly after the game, he expressed his intention to remain at the club until 2020 at the least, he said: "I have until 2020, I think. The truth is that I hope to see out my contract and I'll try to do my best from here until the end of the season, and after that we will see what happens with me. For me, yes. Obviously, my plan is not to change clubs. The truth is I'm very happy here but, as always, as I said before, the club has the last word." Jorge Sampaoli claims that he is surprised by the collapse of Argentina in a friendly game against Nigeria. Despite having a 2-0 lead in the game, Argentina witnessed a stunning comeback from Nigeria that resulted in the game finishing as a 4-2 defeat for the South Americans. It was a disappointing into the preparations for the World Cup 2018, and Argentina will be going into the World Cup 2018 in Russia with a lot of doubt in their mind. First and foremost is the inability to qualify comfortably for the competition, as the national team could only finish in the third position. For long periods of the World Cup qualification campaign from South America, it looked like Argentina would miss out on the path to the World Cup. The national team had been logged in the fifth place, which meant a play-off, for much of the campaign. Yet, they managed to finish in the third place only because of teams like Columbia and Peru not being capable enough of taking advantage. The victory over Ecuador in the final qualification game sealed progress into the World Cup. 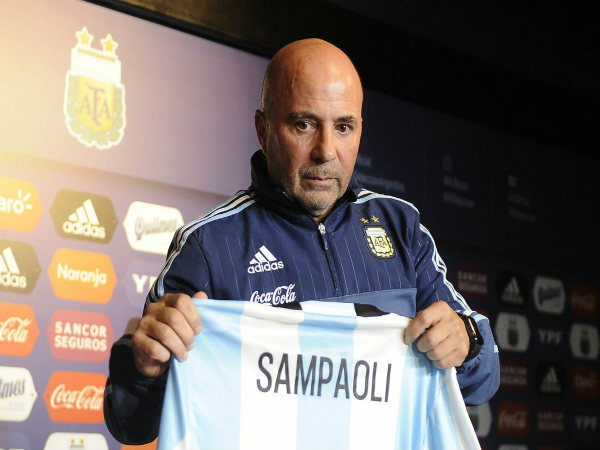 Sampaoli has not been able to see a convincing performance from Argentina in recent months. After having narrowly beaten Russia in a friendly match, the national team would not have wished for such a shock loss. Former Arsenal star Paul Merson feels Diego Simeone would prefer the opportunity of managing a Premier League club with Atletico Madrid having dropped their performance levels this term. The Argentine has emerged as a surprise target for Everton with major shareholder Farhad Moshiri looking to recruit a head coach of high pedigree following Ronald Koeman's dismissal. 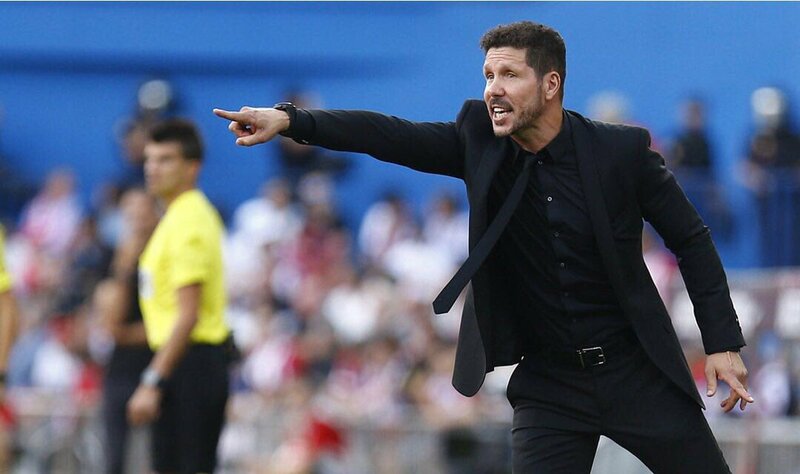 Speaking on Sky Sports, Merson believes Simeone could be tempted to takeover the managerial reigns at Goodison Park with Atletico Madrid's progress on the decline in recent months, he said, "This is where it has taken Simeone now. People are saying he might be a bit big for the club but he's been around a long time, Atletico Madrid are not the team they were and they are falling behind a bit. He'll look at the Premier League and think 'right, I'm not going to be manager of Liverpool, Man City or Arsenal, maybe Chelsea' and all of a sudden, Everton are the next best thing. Even with where they are, they are the next biggest club with money and big wages, then he's in the Premier League." Manchester City manager Pep Guardiola has insisted that he has no problem with Sergio Aguero, who met up with a car accident in Amsterdam earlier on Thursday. The Argentina international sustained a broken rib while he was travelling to the airport with a taxi after watching Colombian singer Maluma at a music concert. The Citizens had not provided an update on the Argentine striker following the incident, and it was left to Guardiola to release a statement over the striker's wellbeing, he said: "He had a day off. He's OK - the most important thing. Barcelona's sporting director Albert Soler has revealed that Lionel Messi will sign a new contract soon with the Argentine and the club having already finalised terms informally. Tottenham Hotspur have confirmed that they attempted to open their cheque book this summer, with a large bid placed for Genoa striker Giovanni Simeone as the transfer deadline approached. The North London giants were amongst the quietest clubs in English football this summer after having not made a signing of as the transfer window's end approached. The likes of Ricardo Pereira and Thomas Lemar had been linked in recent weeks, but manager Mauricio Pochettino opted to cool their interest as the club are not keen to spend massive sums. Manchester City defender Nicolas Otamendi has insisted that fellow teammate Sergio Aguero is not thinking over a summer exit despite the constant speculation over his future. The Argentine was in-and-out of the starting lineup in the second half of last season, but he still managed 33 goals across all competitions. The last time that the Argentinean national football team failed to qualify for a FIFA World Cup was way back in 1970, this was over 45 years ago. 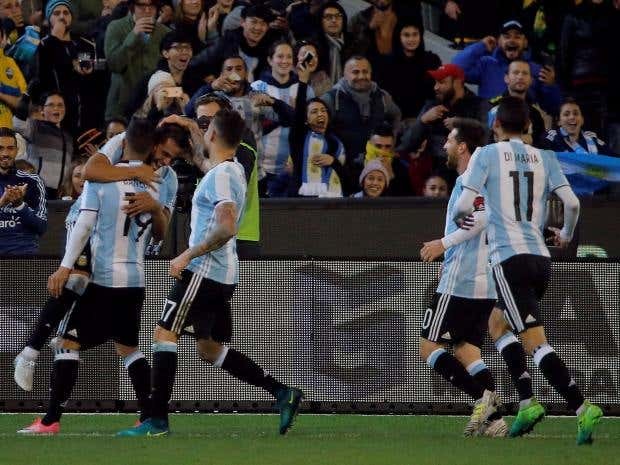 Throughout every single edition of the worldwide football competition, Argentina has regularly managed to not only qualify but to also make a genuine run. Argentina international Lionel Messi has refused to rule out a future move to the Chinese Super League once he decides to end his long-term association with Barcelona. The 29-year-old had yet another top season with the Catalan giants with 54 goals across all competitions, but was unable to push his side towards another La Liga triumph. The Camp Nou outfit also struggled in their Champions League campaign, and were eventually ousted by Juventus by a 3-0 scoreline. In preparations for their showdown with Singapore, Argentina’s coach, Jorge Sampaoli will be fielding a remarkable attacking line-up for the game. He hopes to see his men in an aggressive defensive play as they engage in the friendly on Tuesday with Singapore.